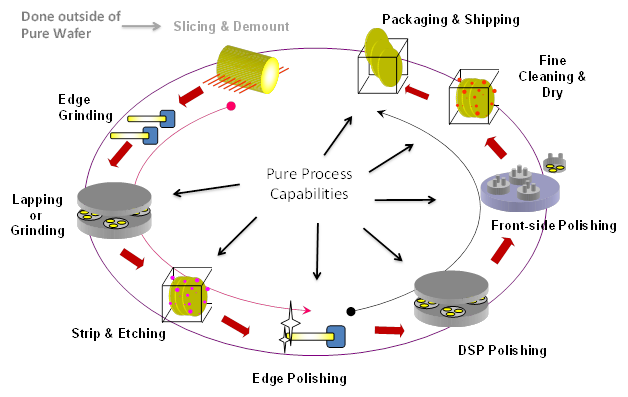 Pure Wafer offers comprehensive wafer finishing solutions from 100mm up to 300mm diameters. Pure maintains complete process ownership in two U.S. manufacturing facilities, while also maintaining strict equipment and process controls that ensures repeatability and reliability with all products and services. We offer wafer services and products that meet SEMI standards and custom fabricate for specific customer requirements. Our quality is supported by our state of the art metrology equipment and wafer level data collection.